Primary-side protective devices are widely applied at load-tap transformers where the available primary fault current exceeds the device’s primary-fault interrupting rating. Overlapping protection from statistically rare high-current primary faults is afforded by the line-terminal circuit breakers and first-zone phase- and ground-fault line- protective relays. On systems using line-terminal circuit breakers, circuit interruption following a high-current primary fault is typically accomplished by the line breakers in 3 cycles. A local primary-side transformer protective device will respond to faults internal to the transformer and to faults on the secondary bus that is included in its zone of protection. It can also provide back-up protection for the secondary-side protective device(s). 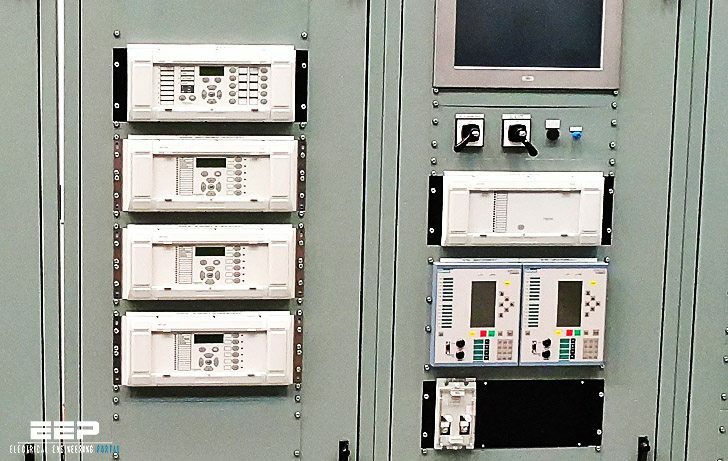 A properly applied transformer protective system will overlap some of the protection provided by the line-terminal circuit breakers and supplement the protection afforded by the secondary-side protective device(s). 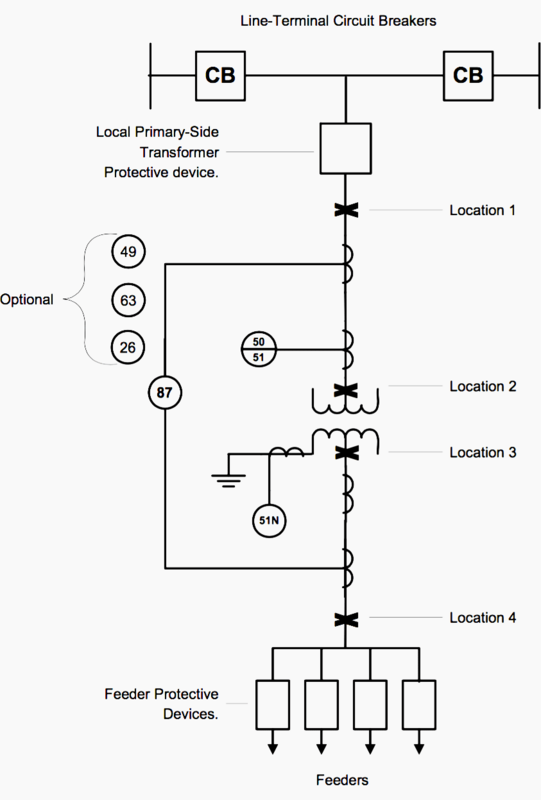 To understand how a primary-side transformer protective device is applied, let’s look at Figure 1. It shows a one-line diagram of the relay protection scheme used for a typical radially tapped transformer protective scheme – including four locations where faults may occur. The short length of bus and greater line-to-ground clearance make these types of faults rare. Fault current magnitudes in this area can be high because they are only limited by the upstream impedance of the system. This location is typically not part of the relaying for a primary-side protective device due to the location of the primary- side current transformers. 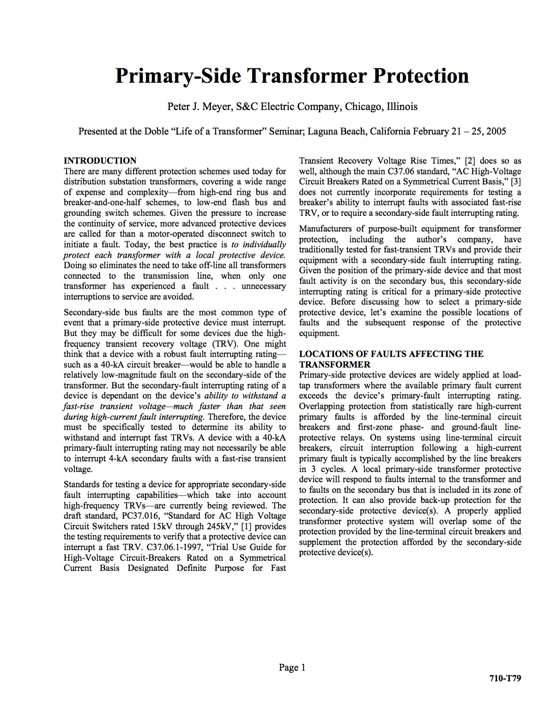 It is important to remember that the current transformers for the transformer differential protection are typically located on the bushings of the transformer. Therefore, the primary-side protective device will not receive a trip signal for events on the primary bus, and this device will not get called on to clear full primary-side fault currents on the primary side. For example, primary arrester failures will be cleared by the line terminal breakers, as shown in Figure 1 above.